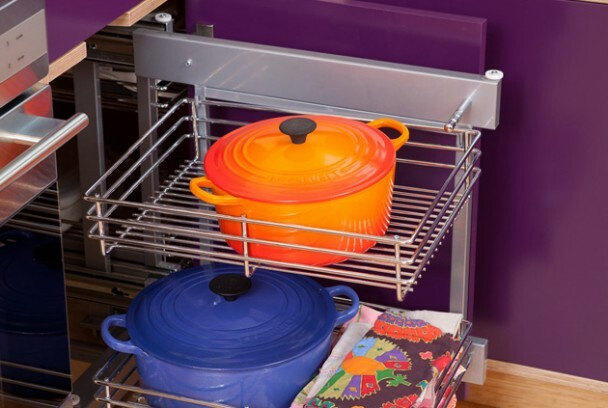 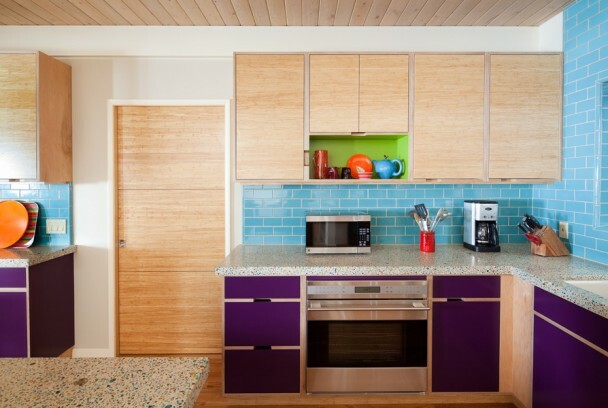 The colorful colors and lively textures found throughout the kitchen celebrate enthusiasm for life. 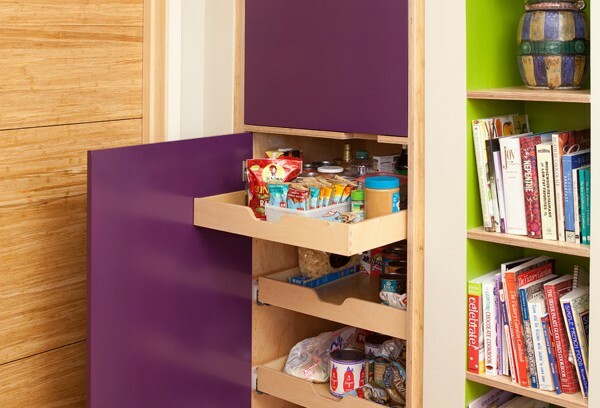 The lower cabinets are constructed of Euro 11-ply maple leaving exposed edges with inset drawers and doors painted in purple and bright green. 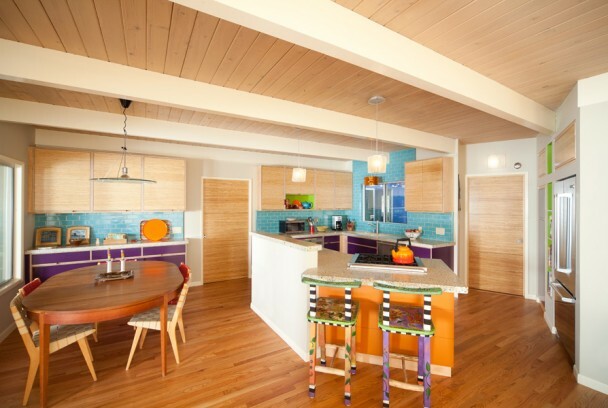 The uppers maintain the same exposed plywood edges, but are faced with honey woven bamboo. 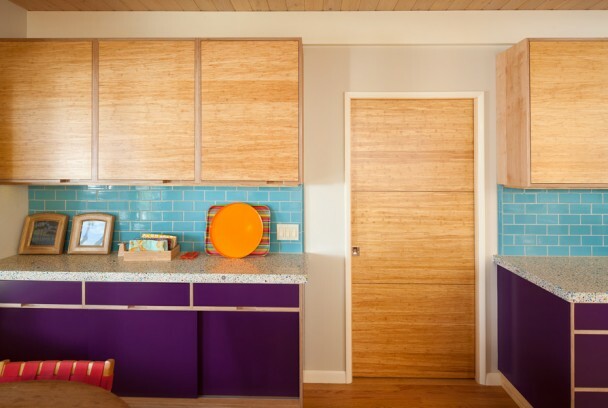 The passage doors match the cabinets with honey woven bamboo with stainless steel inlays. 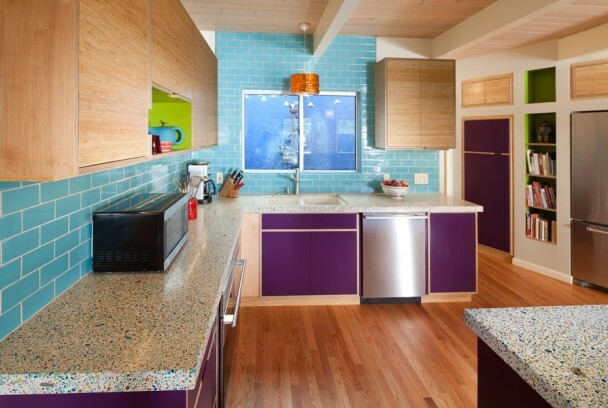 Recycled glass terrazzo counters, recycled content Fireclay tile and energy efficient lighting are other environmentally friendly design features in this kitchen.